Back to Glebe a suburb full of choice when it comes to dining out. 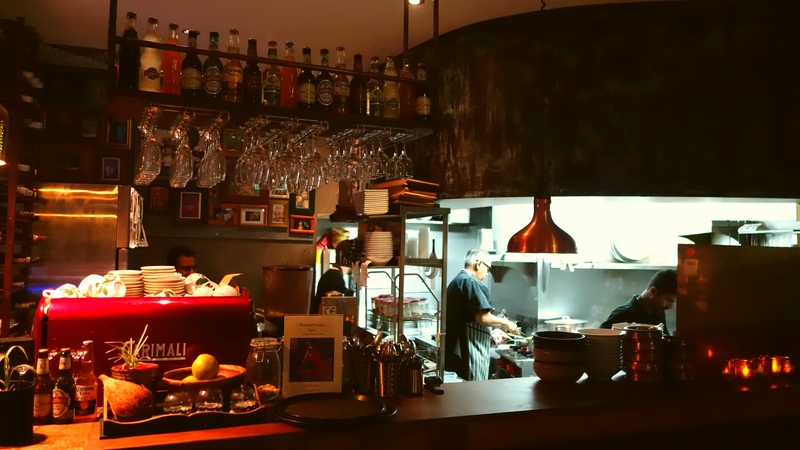 We were fortunate to visit a gem of an Indian restaurant called Bombay Street Kitchen. A family run business having once called Nelsons Bay home, now thankfully running a new operation in Sydney. Bombay Street Kitchen has alfresco dining as well as indoor seating. 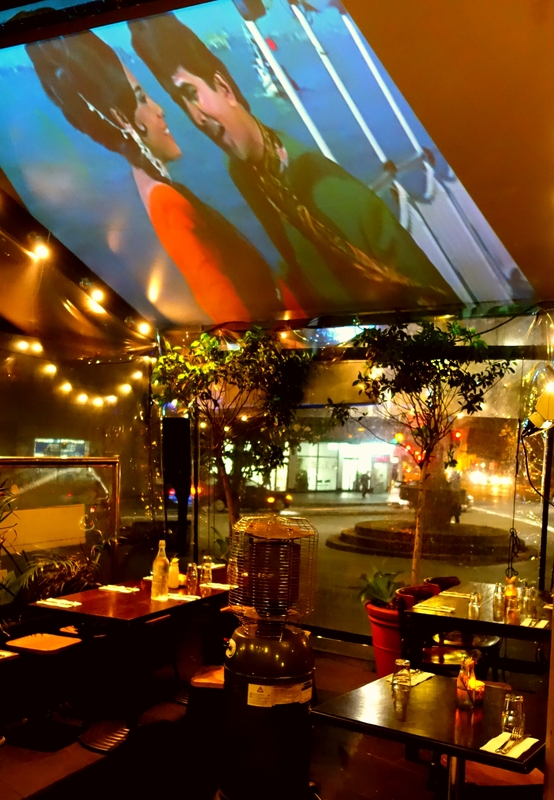 There is a projector screen on the roof of the outdoor area playing retro Bollywood classics. 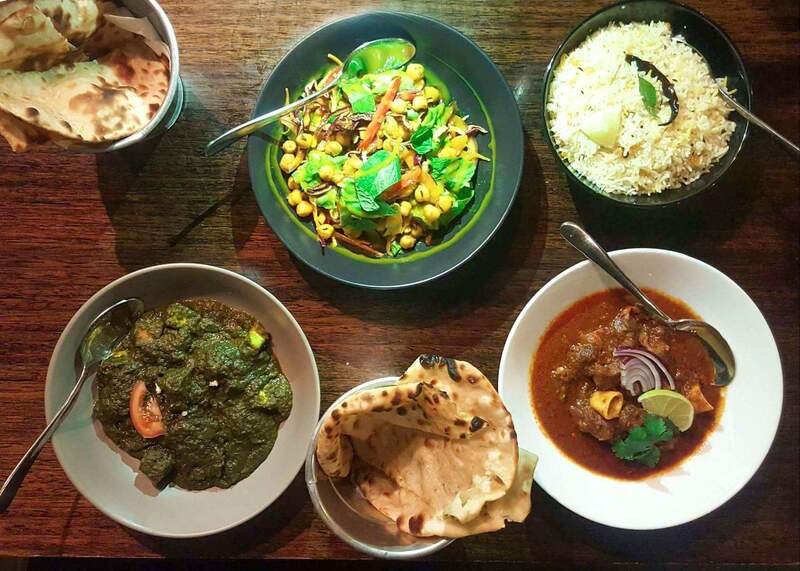 The menu is wide and varied and as the name would suggest, brings exciting Indian street food options that you may not have known to exist. To help familiarise you with these exciting new treats, the menu listing are accompanied by a short story detailing the origins of each dish. So much choice and exciting new food to try we were momentarily a deer in the headlights. We decide to order a drink whilst we perused the menu. With plenty of choice, soft drinks a beer selection including Indian variety, as well as a few cocktails that took our fancy. 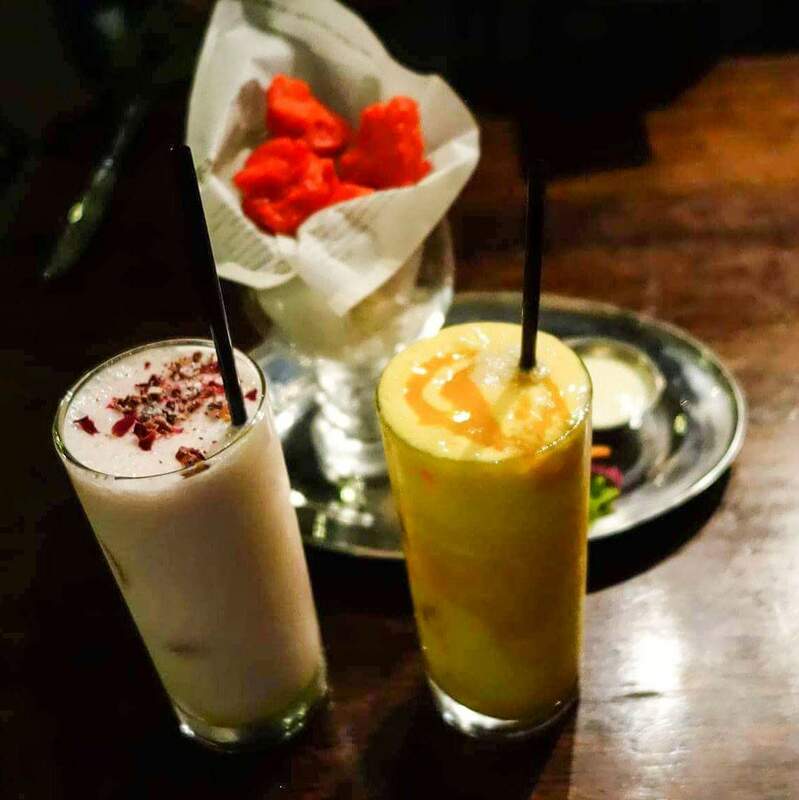 Like the tamarind martini or the rum spiked Lassi’s called the Sassy Lassi. We decided on the Sassy Lassi’s. We got the mango as well as the rose and cardamon which are a must if visiting this place. The inspiration coming from the magnitude of street food available in Bombay. 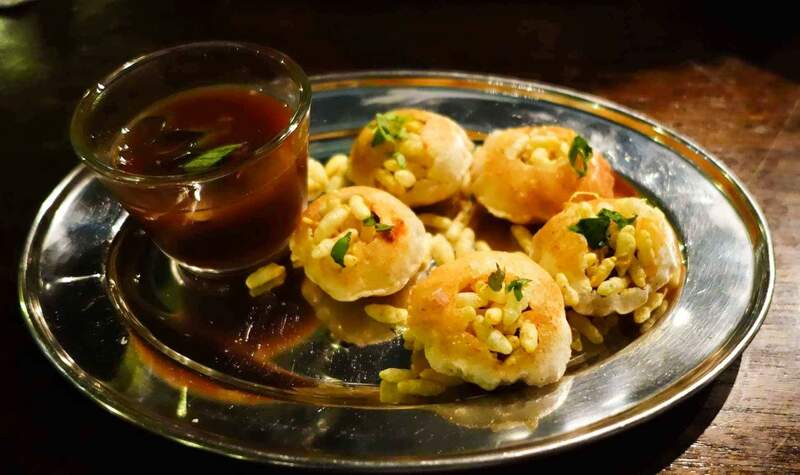 An great place to stary is with the Pani Poori; a crisp little pastry pocket stuffed with, potato, puffed rice and chutney, add the spicy tamarind sauce to taste. A mouth full of texture and a flavour explosion! The bright almost fluro red koliwada prawn fried in spiced butter, served with a lemon yogurt are sure to light up the table. 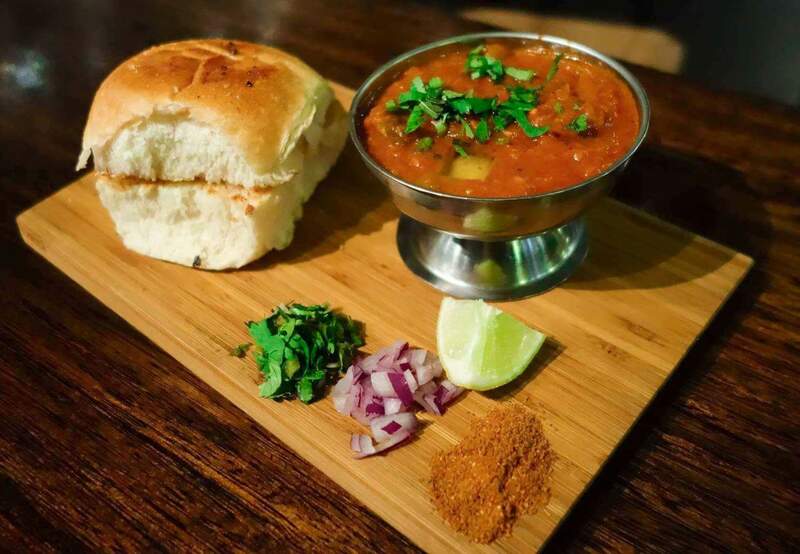 Another favourite of Bombay workers being the Pav Bhajji, a vegan like sloppy joe; a buttered bread roll seved with spiced mashed veggies, served with a side of fresh spanish onion, corriander and a lemon wedge for added freshness. 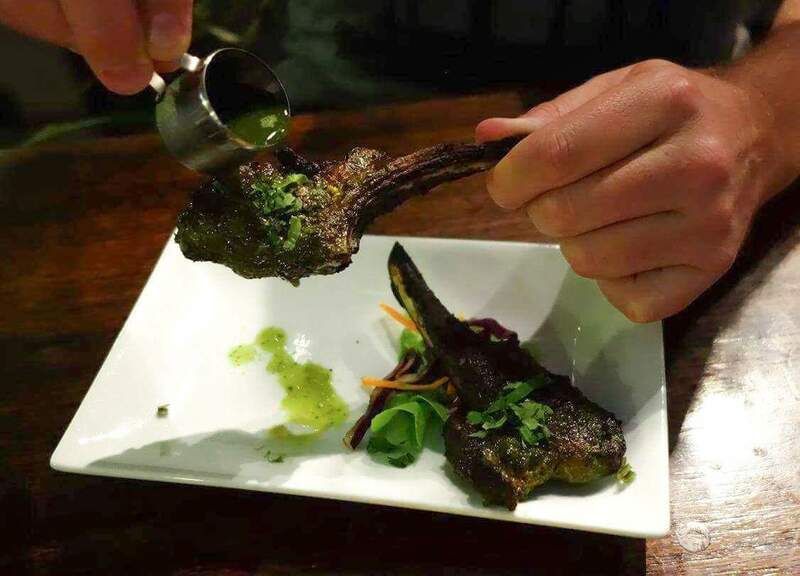 The pefectly spiced lamb cutlets cooked at high heat in the tandoor sure to have your mouth watering. We also ordered a chickpea and mango summer salad for some added freshness an option from lunch menu. They have a bombay lunch box for under $10, great for a cheap eat. Also cooked fresh in the tandoor are the naan and roti which we ordered to accompany some classic curries. 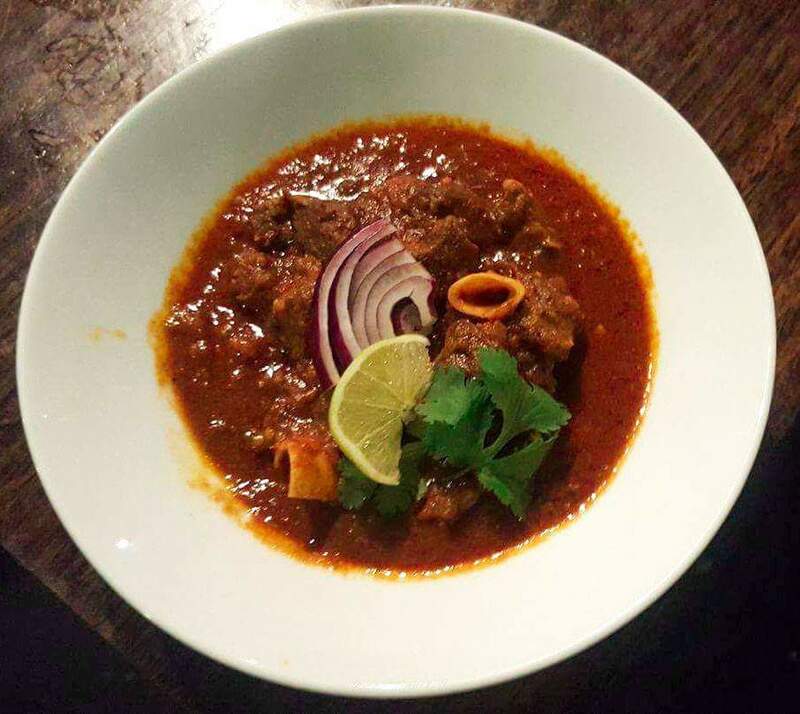 The railway goat curry cooked on the bone, a full flavoured curry that will have you licking your lips in delight. Another go to, the paneer palak, was on point. Add a serve of flavoured rice on the side to soak up and savour the curry sauce. Make sure you leave some space for dessert and you are in for a treat. The mango kulfi, a weiss bar like dessert cooled us down after a night of spice. 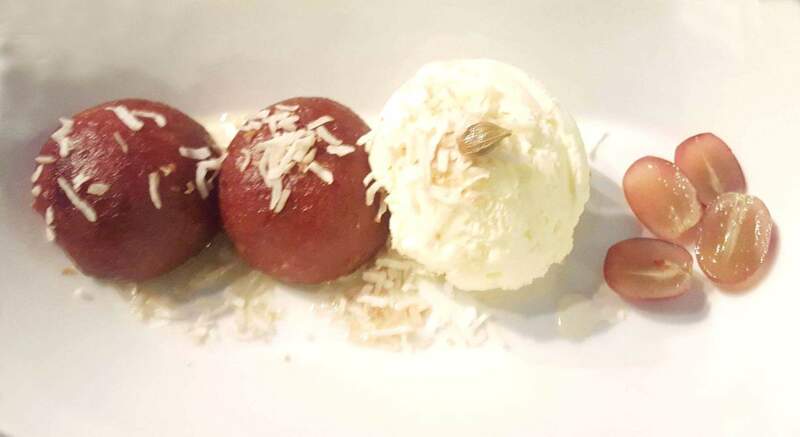 The Gulab Jamun a classic, not overly sweet in this instance, the dessert served warm making the dumplings nice and soft and served with cardamon and a creamy coconut ice cream. A very enjoyable and exciting Indian dining experience. Thank you to Manasi and family for inviting us to sample and enjoy your passion for food which translates to the quality meals being served.